Founded on the shores of Great Bay in 1763 by John Philips, a Scotsman serving in the Dutch Navy, Philipsburg soon became an important port, a role that it maintains to this day. 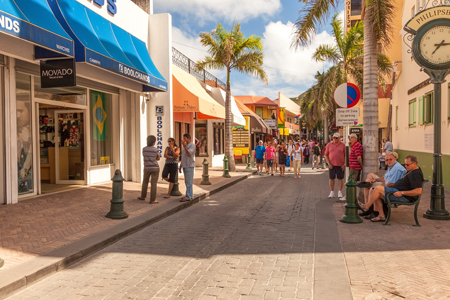 A major cruise ship and duty free shopping haven, this waterfront town boasts a variety of stores stocking luxury goods, jewelry, clothing and electronics. There are also restaurants, cafes, casinos, bars and night clubs. The most important streets are Front and Back Street, which are linked by a series of alleys called steegjes. Look out for the colorful wooden houses with carved fretwork railings, eaves and shutters. 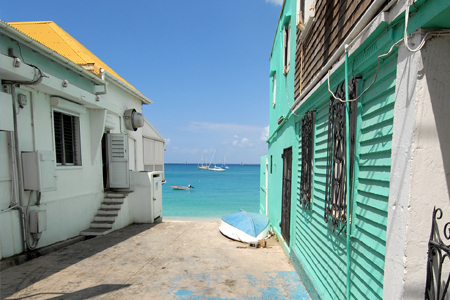 These typically Caribbean homes are found throughout the island and the style is called 'gingerbread'. Front Street is the site of the Courthouse which dates from 1793 and was once John Philips' home. Over the years it has served as the council hall, weigh station, post office, jail and fire station before being renovated and given to the courts. Also on Front Street, the Sint Maarten Museum has interesting displays of Arawak pottery and artifacts from the Colonial period, including plantation records and cargo salvaged from HMS Proselyte, the ship that foundered off the coast in 1801. The approaches to the colonial port were guarded by two hilltop forts, Fort Amsterdam, built in 1631, and Fort Willem, erected by the British in 1801.The latter is located on top of Fort Hill and is easily recognizable due to its television transmitting tower. Over 60 species of mammals, birds, reptiles and fish from the Caribbean and tropical South America are on display at this forest park. 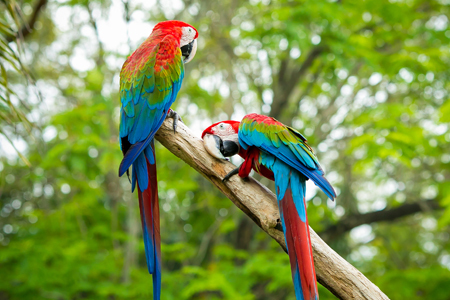 They include squirrel and golden lion tamarin monkeys, bats, ocelots, parrots, macaws and toucans. 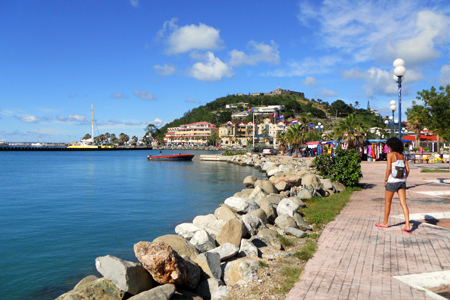 This picturesque waterfront town is a blend of Caribbean color and Continental chic. 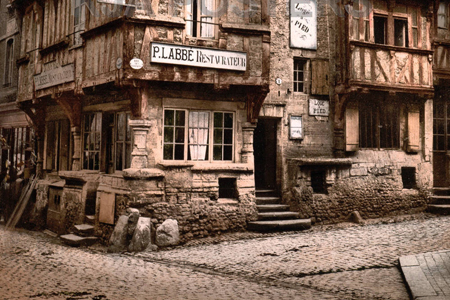 French sidewalk cafes bistros, boutiques, art galleries, gift shops and even gourmet delicatessens line the streets. The Port La Royale Marina, Rue de France (Port Road), Rue de la Republique, Rue du General de Gaulle and Le West Indies mall are the main shopping and dining districts. Visit the St Martin Museum next to the Marina Port La Royale for a glimpse of the ancient Arawak civilization and the archaeological dig at the Hope Estate, life on the colonial plantations and island society after the abolition of slavery. The bustling Marigot Market is worth a visit to purchase locally grown fruit, vegetables and spices, carved wooden figures and other crafts and to sample freshly caught fish and seafood. Discover a traditional French West Indian market and meeting place on the waterfront, at the foot of Fort St. Louis, every Wednesday and Saturday. Built by the French in 1767 to protect the town of Marigot, Fort St. Louis dominates Marigot Bay. 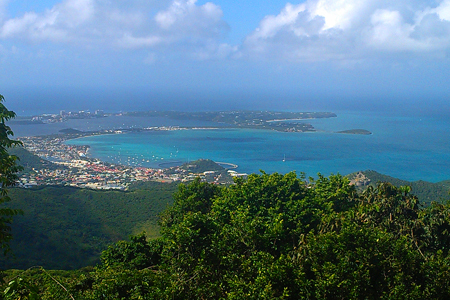 The ten-minute walk from the harbor to the fort is well worth it for the panoramic views of the island. Make sure you wear comfortable shoes. Nestled on the shores of a beautiful bay, this tiny fishing village is a must for visitors who like to indulge in the art of fine dining. Its waterfront street is lined with restaurants, many in traditional wooden houses painted in pastel colors, serving everything from seafood and Creole dishes to French, Italian, Indian and Indonesian cuisine. 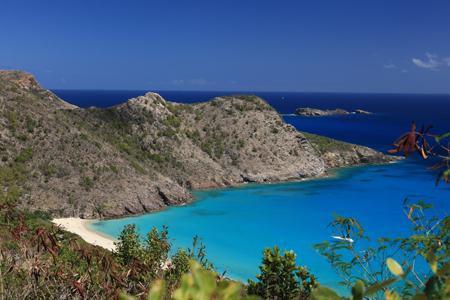 Colombier is a picturesque West Indian hamlet of gingerbread houses and colorful gardens that is set in a fertile valley. The Carib Plantation, a watermelon farm open to the public is in the Colombier district. Several walking trails wind through the valley towards the hills. 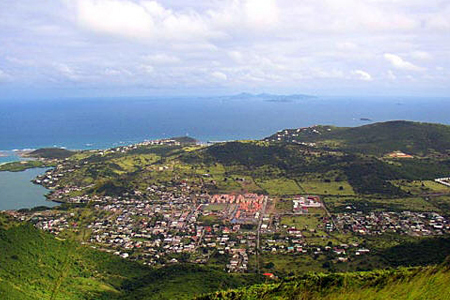 Also known as the French Quarter, this fishing village is the site of the original French settlement on the island. This former plantation and nature reserve is worth a visit. Follow eco trails through the jungle to the top of Pic Paradis and learn about the history of the state. 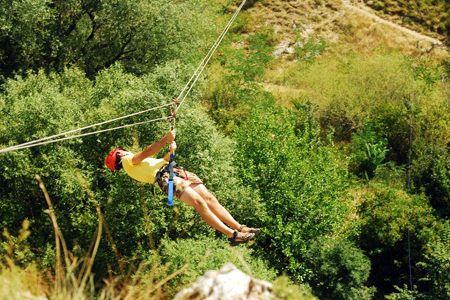 You can also zip line through the forest canopy. 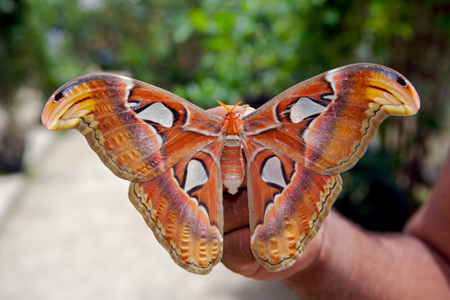 A variety of the world's most colorful tropical butterflies are on display in the gardens at the Butterfly Farm. Find out about the importance of butterflies as indicators of a healthy environment; they are sensitive to pesticides, insecticides and other sources of pollution. Located on the Le Galion Beach Road. Located in the Orleans Quarter, this is an 18 th century plantation house owned by the Beauperthuy family since 1843. An interesting collection of heirlooms helps tell the story of the family and life on Saint Martin. Closed on Monday. Sucrerie Spring, near Orient Bay.